If you are thinking of upgrading the look and increase the lifespan of your furniture, you need not look much farther than wood veneer panels. Using timber veneer panels on your furniture will give your room the perfect look and finish at an affordable cost. There are a number of other advantages of using timber veneer the next time you choose to infuse a new life into your furniture. Let’s have a look at some of the reasons why timber veneer is a great option for you. Regal design: Wood veneer panels definitely look very plush, and they will elevate the look of any room they have been placed in. In fact, they look much more expensive than they actually are. Versatility: Wood veneers come in a variety of colours and designs, so you will be able to match these timber wood panels to other furniture in your household. 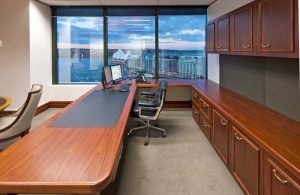 Quality: Veneer panels, bought from reputable suppliers like Processed Forest Products in Sydney, are of the highest quality, and are extremely durable as well. They are usually not prone to any environmental damage and can last a long time, without having their looks fade, or chip away. Variety: The amount of variety you can get in wood veneer panels is unparalleled, as it maintains the design and the colour of the trees from which it comes. Your furniture will be as unique as every single tree in the world, and just as diverse! Natural: Wood veneer panels are natural and non-toxic. They do not use any adhesives that are harmful to humans or to the environment. Environment friendly: Veneers utilize wood in a much more effective fashion, as they are formed of thin sheets of wood glued together. This reduces a lot of wood wastage, and ensures that fewer trees have to be cut for furniture. Availability: Veneers are extremely economical, and as a result of the same, are more widely available than solid wood furniture. Due to the effects of deforestation, it has become way more difficult (and impractical) to purchase solid wood, but this is not a problem you’ll run into if you shift to veneers. Processed Forest Products is Australia’s most trusted specialist for wood veneer panels. To know more about our products, visit us or just give us a call at (02) 9771 5155 now.